Recently two sources for the Catholic weird, odd, and mysterious came to fruition. No I am not talking about Weird Catholic Twitter. First off is Thomas L. McDonald’s “Weird Catholic” blog with stories like The Strange Legend of St. Christopher, and Whether or Not He Had the Head of a Dog. It is vey nice to see Tom return to blogging with his new site. This is a great little niche of the weird and the interesting. 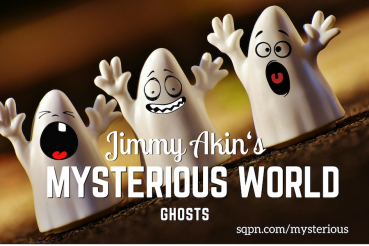 Just announced from the Starquest Production Network is Jimmy Akin’s Mysterious World. Domenico Bettinelli, who is he co-host, announces it on his blog. Plus I will give a plug to SQPN’s podcast The Secrets of Doctor Who which is hosted by Jimmy Akin, Dom Bettinelli, and Fr. Cory Sticha. Having finished watching all the still-extent Doctor Who episodes I just love listening to their insights and criticism of each episode. This show spans all the seasons of Doctor Who – but not strictly in sequence.